Many customers are demanding good quality vegetarian burger options. This simple and healthy char grilled vegie burger is quick and easy to prepare and full of flavor. Drizzle eggplant, capsicum and haloumi with oil and season with salt and pepper, char grill. Blend basil, pine nuts, garlic and cheese in a food processor until combined. Add HELLMANN'S Mayonnaise to pesto and combine. 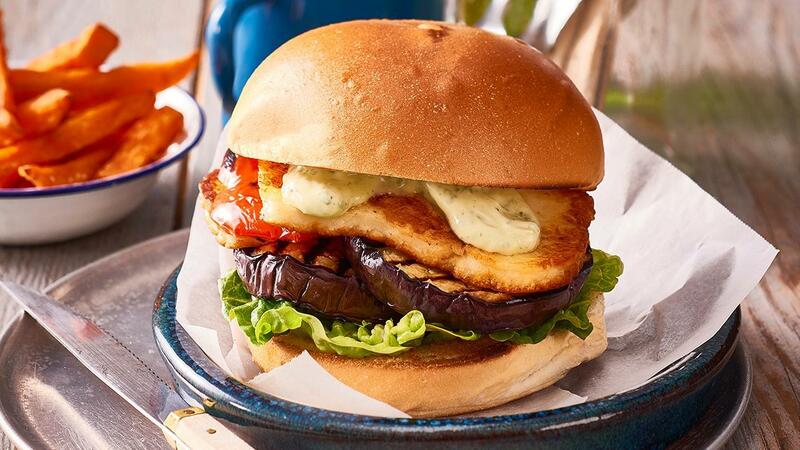 Grill the buns, place lettuce on bottom bun, top with eggplant, capsicum and haloumi and pesto mayonnaise and bun. Serve with sweet potato fries. You can use a variety of char grilled vegetables for this burger just make sure you season them well.